While the public conversation about drones is dynamic and vibrant, it has often failed to represent the voice of industry beyond the single soundbyte. The likely reason is that industry figures often resist the very word “drone,” which hapens to be the definitive, unifying piece of vocabulary around which the conversation is structured. The discussion therefore lacks an important dimension. As a corrective, we reached out to a company that is at the very forefront of drone development and proliferation, Aerovironment. Founded in 1971 by the inventor Paul McCready Jr., AeroVironment produces an ecosystem of flying machines, including a range of unmanned aerial vehicles that have found their way to battlefields across the globe. For decades, Aerovironment has had its eye on the civilian sphere, where it, like others, has identified the potential for massive growth. 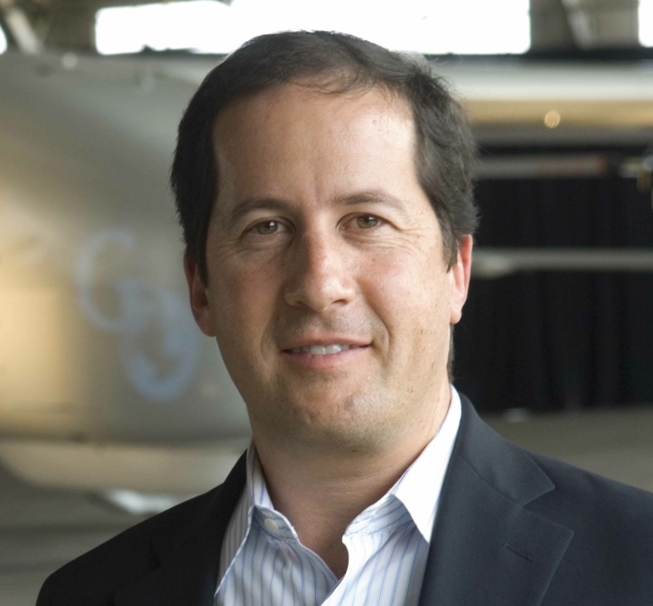 Steve Gitlin is AeroVironment’s Vice President for Marketing Strategy & Communications. He agreed to a phone interview to discuss the industry’s perspective on the integration and proliferation of drones. Gitlin received his Bachelor of Arts degree in Political Science from UCLA, an MBA with a focus on Marketing from the Wharton School of the University of Pennsylvania and a masters in international management with an emphasis on Latin America from the Joseph H. Lauder Institute at the University of Pennsylvania. Prior to joining AeroVironment in 2002, Steve worked as a management consultant for the Aerospace and Telecommunications industries. Center for the Study of the Drone Would you say you are satisfied with the progress of the FAA so far? Steve GitlinWe are very confident about the responsibility the FAA has to keep the airspace and people underneath it safe. It’s a complex airspace that gets even more complex as air traffic increases, and we understand the complexity involved in integrating unmanned aircraft into that airspace. Clearly we would hope that integration would happen sooner rather than later, but we’ve been engaged with the FAA for years, attempting to provide insight into the industry’s perspective on unmanned aircraft systems and integration, and we look forward to integration taking place in a form that will enable our industry. Drone Tell me a little about AeroVironment and its relationship with drones in the domestic sphere. Gitlin We developed what we believed was the first hand-launched unmanned aircraft for information gathering back in 1987, for the military. As far back as that time we understood that the application for the capability would likely find initial adoption in the government and in the military, but would ultimately expand well beyond that into a number of valuable domestic roles. When I say ‘domestic,’ I don’t specifically mean the United States. I am talking about domestic markets around the world. It was really post 9/11, when the first troops went into Afghanistan with a couple of our early systems, that the utility of these systems in this new threat environment became apparent. And that’s what really drove the adoption of the capability. (Military) conflict became much less about tanks and aircraft carriers and much more about small teams of individuals operating away from their bases, only relying on the equipment they could carry with them. It was then that the small unmanned aircraft systems’ value proposition became so apparent. And that drove adoption across the entire department of defense. At this point, all the operating forces of the DoD use our systems; we are by volume the largest supplier of aircraft to the DoD. In fact, 85% of all the unmanned airplanes in the DoD fleet are AeroVironment airplanes. They just happen to account for a low single digit percentage of all the budget dollars that have been spent on unmanned aircraft. Our aircraft are small, lightweight and portable. They’re really the only way for people on the ground to get information they need, when they need it, no matter where they are. And they’re low cost. It’s that core capability that lends itself to innumerable domestic missions, whether they be law enforcement, search and rescue, border patrol, infrastructure monitoring, agriculture monitoring, photogrammetry or geospatial information—you name it. We actually had a contract in the mid 2000s with some companies in the oil and gas industry whereby our systems were available to be used in the event of some kind of an oil or gas incident. But before they could actually be employed, the FAA ruled that unmanned aircraft systems could not be operated in the airspace. So we have had our eye on that market for a long time, and we’ve been hopeful for quite some time that the rules would be developed that would allow unmanned aircraft systems to be integrated into the airspace. Though we understand the complexity and we understand the safety issues, we do think it’ll happen sooner as opposed to later, and we believe we’re well positioned for when it does happen. Drone Do you feel that the Amazon announcement is going to speed up the FAA’s process, or do you think it’s going to have no effect at all? Gitlin It’s hard to say what effect it’ll have on the FAA. One effect Amazon’s announcement does have is that it illustrates to lots of people who really don’t have the time or the bandwidth to understand the nuances of unmanned aircraft systems that there is a potential mission out there, a potential application, that’s a benefit to people: getting their stuff quicker and cheaper. Most people would like that. So we think that there is a tremendous education component that will enable people to understand the benefits that unmanned aircraft systems will provide. Now what effect it will have on the FAA? I don’t know. I won’t speculate. I suspect the FAA is aware, as is everyone else on the planet at this point, that the technology is largely in place to enable something like Amazon PrimeAir. In fact, we developed a cargo-carrying vertical takeoff and landing system called Skytote in the mid 2000s for the Air Force. But that was designed to carry 50 pounds and was a much bigger type of aircraft that you wouldn’t want landing in your front yard. Right? Gitlin But the idea of it is there. In fact Paul MacCready, who was the founder of our company and who was an internationally known inventor and airspace industry innovator, had the idea of using unmanned aircraft to deliver products many years ago. In fact, decades ago. Drone But what about public pushback? Gitlin There are probably numerous examples of technology introduction resulting in public misunderstanding, and even backlash, before broader acceptance and integration into our everyday lives. One example that I can think of is the flying machine—the airplane. The idea of the flying machine had been around for centuries, if not more. But it wasn’t until the early 1900s of course that it became a reality. This was pre-social media, pre-radio, pre-television. People could only interact with airplanes at fairs; these were the barnstorming days. These barnstormers would fly around the country and give people rides for a nickel, and capture people’s imagination. What happened is that it went from barnstorming to military adoption, since the military saw the value of it around World War I. After World War I, it began to be used for shuttling mail and other cargo around. But a regulatory system needed to be created, and only then did airplanes start carrying people in significant quantities. And now you can’t imagine society without airplanes. In those early days there was probably a healthy mix of wonderment and fear, bewilderment and curiosity, before that innovation successfully found its way into modern life. Drone So you feel like we’re seeing a parallel of that process today? Gitlin We’re in the very early stage of unmanned aircraft systems. Even though the technology goes back to radio-controlled devices in the 1900s, it has largely remained a military solution. People have a certain perspective on military solutions, and it’s very hard for people to really understand the benefits until they see them delivered in the real world, in practical everyday situations. That’s why examples like the U.S. Geological Survey using our Raven to do a host of very interesting types of research, or the National Oceanic and Atmospheric Administration using our Puma to monitor wildlife and trash in the ocean, are important. We’re in the very early stage of this technology finding its way into everyday life. And until people see it, they’re going to fill that vacuum with their own perspective. These perspectives might be fears, they might be hopes or they might be a combination of all kinds of things. But once they see it saving lives, once they see it generating productive returns, then that perspective is going to change. Drone There seems to be quite a lot of fear in particular. Gitlin It’s very hard not to fear when it’s so abstract. Take your organization’s name, the Center for the Study of the Drone. The word “drone” is so loaded in most people’s minds with images of menacing looking, missile-firing devices that it leaves very little space for people to see the entire spectrum of unmanned aircraft. So, going back to Amazon, I’d say it’s a good thing that it has portrayed another example of how this technology can help us. Drone You may have noticed that when Jeff Bezos was showing the delivery system to Charlie Rose, he actually called the UAVs “octocopter drones.” He used that exact phrasing, which as you pointed out is loaded with connotations. We here at Bard have our own set of reasons for using the word “drone” instead of the other terms that are available. But from an industry perspective, how do you feel about the word? Gitlin The good thing about the word is that it’s short and memorable , and the media likes that. It’s convenient. The not-so-good thing about the word, from the perspective of those who are in the industry, is that most of our customers don’t call it that. And it has a lot of baggage that is not helpful in allowing people to understand the numerous benefits that the technology can deliver. Then again, it is what it is. It’s a word that we choose not to use, though we understand why people use it, and I don’t correct anybody. They can call it what they want. 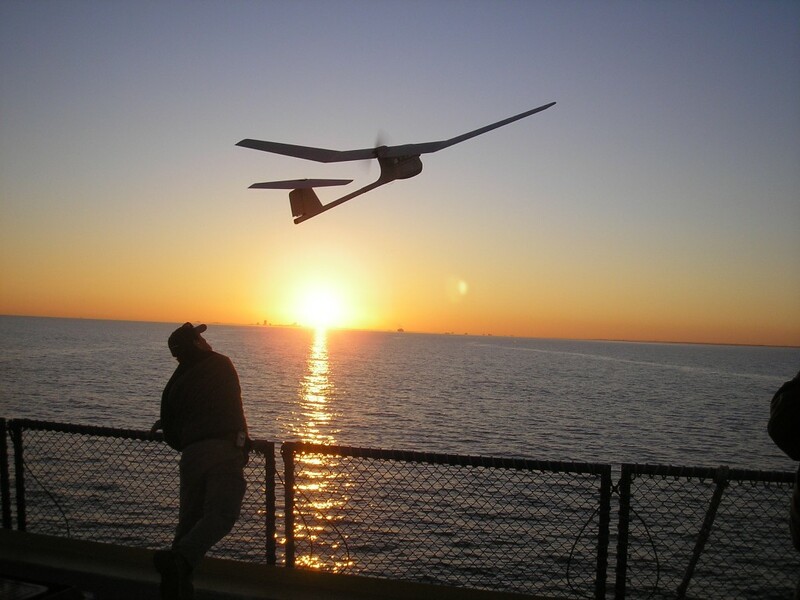 But what we do try to do is explain why it is that we call our products unmanned aircraft systems. Many people look at a flying device that’s remote controlled, and they focus on the device itself. What they don’t tend to focus on is the entire system that includes the integrated payload, camera, sensors and the sophisticated technology on board the aircraft that allows it to fly easily, reliably, effectively and safely. Nor do they focus on the secure communications links we developed to ensure that communication between the aircraft and the operator is secure and is not intercepted or decoded. So it’s a systematic solution. But when you look at it, you say ‘oh look at that cute little airplane’—or octocopter, or what have you. Drone As the public’s perceptions of this technology change, as people become a little more familiar with it, do you think the word drone will lose some of those connotations and become a common-use word like “car” or “aeroplane”? Gitlin Oh I don’t know. Drone It’s an interesting thought, in any case. No one can tell the future. Gitlin What might happen is that as, for example, we develop more search and rescue systems, you might see people start to talk about “rescue drones.” Likewise for “delivery drones” and “farm drones.” We might start to get different flavors of the basic word that connote the different ways that these systems can be used. Drone Are any technological patterns emerging? 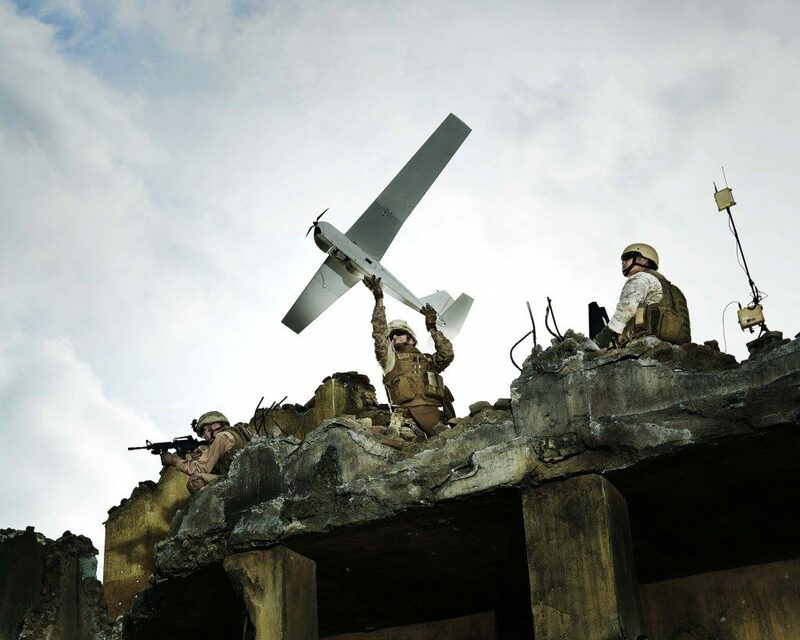 AeroVironment focuses more on the small platforms rather than the long endurance, large-scale platforms. Do you see the industry heading more in one direction or the other? Gitlin Let me just clarify that while most of the revenue we generate is associated with the small category of unmanned aircraft systems, we’ve been developing large high altitude long endurance systems for almost 20 years. In fact, the highest flying unmanned aircraft in history was a solar powered flying wing called the Helios that we developed for NASA (it reached nearly 97,000 feet above sea level in 2001). And we’re currently developing a system called Global Observer, which has a wingspan bigger than a 767, but weighs less than an SUV, is powered by hydrogen and is designed to fly for up to a week at a time in the stratosphere. So we actually are an expert in that domain as well as in the small domain. But to your question, it will depend on market need. It’s a question of what needs have to be satisfied, and what are the most effective ways to satisfy them. As we identify meaningful customer needs that represent significant growth, we’ll develop solutions to address those needs. They might be small, they might be large or they might be in the middle.